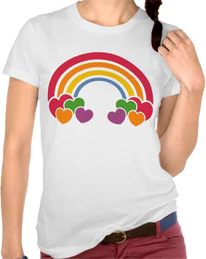 From rainbow shoelaces, stickers, barrettes, corkscrew earrings to a felt puffy rainbow wall-hanging above my bed I, along with every other girl in the sixth grade, had rainbow fever. 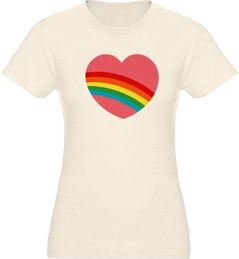 My love of rainbows could also be seen on my favorite sweater and sweatshirt – did you have one too? 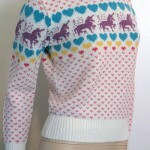 My sweater was off white with rows of colors going across the top half of it. 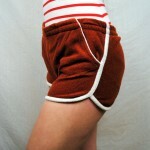 I wore it A LOT mostly with my lavender Osh Kosh pants. 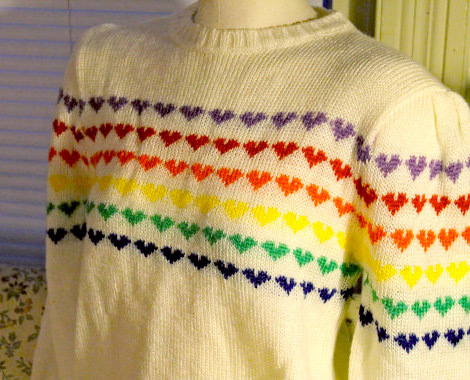 I also had a sweatshirt that was white with a rainbow made out of jelly beans being poured like a ray of happiness from the shoulder of the shirt to the bottom of it. That shirt was also awesome and a staple in my wardrobe repertoire – worn and washed so much my mother had to hide it from me to throw it away when it began getting holes in the cuffs and the hem. 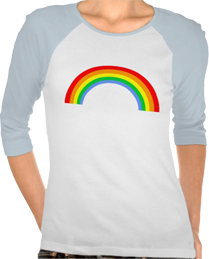 I’m loving the rainbow resurgence – I mean seriously, doesn’t it just make you happy? 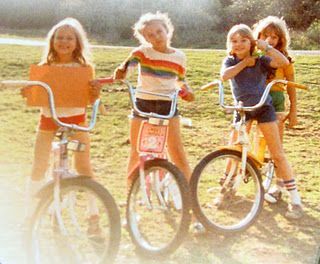 Makes me want to get on my bike with the yellow glitter banana seat and rainbow tassels on the handles and ride off into the sunset. I had this exact t-shirt in the 5th grade (1982-1983). I might have also had that bike. Hehehe, I grew up with a set of dishware & cookie jars that match that first sweater. WWE’s New Day is bringing the trend back on the men’s side.